The former Oasis star has reportedly collaborated with designers on the Garwen trainer for the brand's 2017 Spezial range. 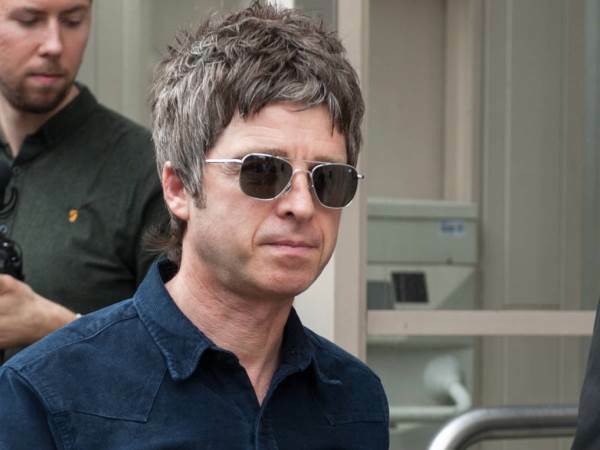 Rocker Noel Gallagher has reportedly teamed up with bosses at Adidas to design a pair of signature sneakers. The former Oasis star has reportedly collaborated with designers on the Garwen trainer for the brand's 2017 Spezial range, according to Sneaker Freaker. Noel's design is based on the Brisbane, footwear from the brand which came out in the 1970s. A release date has yet to be announced and the 49-year-old hasn't commented on the collaboration, but this isn't his first time working with the company - he starred in an advert for the sporting brand in 2009, alongside David Beckham, Snoop Dogg, Kanye West's protege Mr Hudson, and Stone Roses star Ian Brown. In 2011, he released 120 pairs of limited edition Adidas sneakers, which featured his face on the tongue of the shoe and his initials on the heel. Noel previously explained he turned to collecting sneakers in 1998 because he needed something to "obsess" over after quitting drugs. "I'm not into cars, not into jewellery and all that kind of thing, and I had loads of guitars, so I set off on a quest to collect Adidas trainers," he told the Independent in 2013. "I had silly amounts - you couldn't open a cupboard without 20 pairs of Adidas trainers falling out," he added. However, after amassing a huge collection, he decided to donate some. "I kept the best ones back, I've probably got about 20 or 30 real vintage pairs, and I put the rest back out there - I gave them to charity shops," he added. "Funnily enough when I go to Camden market I still see some of my pairs there and I've been very tempted to buy them back."